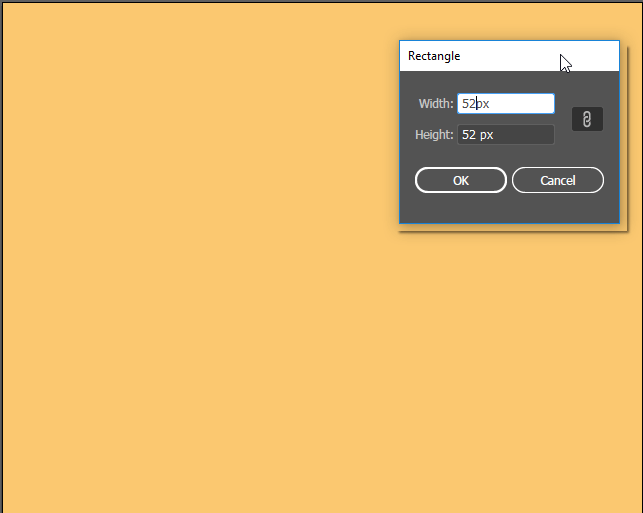 Once you’ve created a new 1280x1024px document in Adobe Illustrator, let’s create a rectangle with the size of an entire canvas using Rectangle Tool (M). 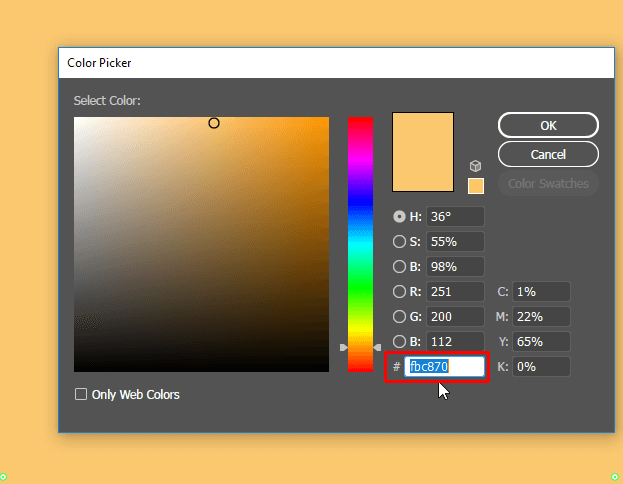 Bring up the Color Picker and set a Fill color to #fbc870. 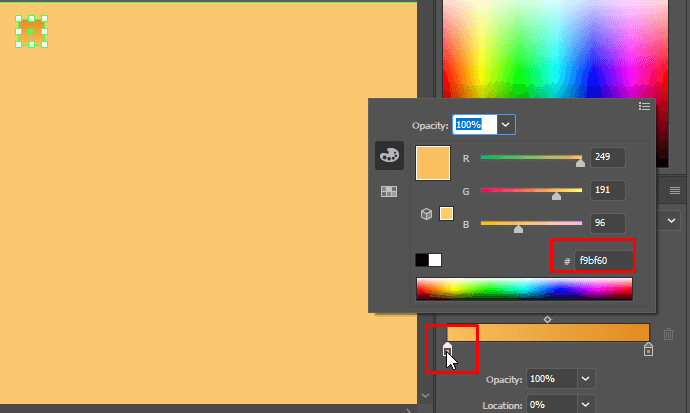 Bring up the Rectangle Dialog box by clicking once on the canvas with the Rectangle Tool(M). 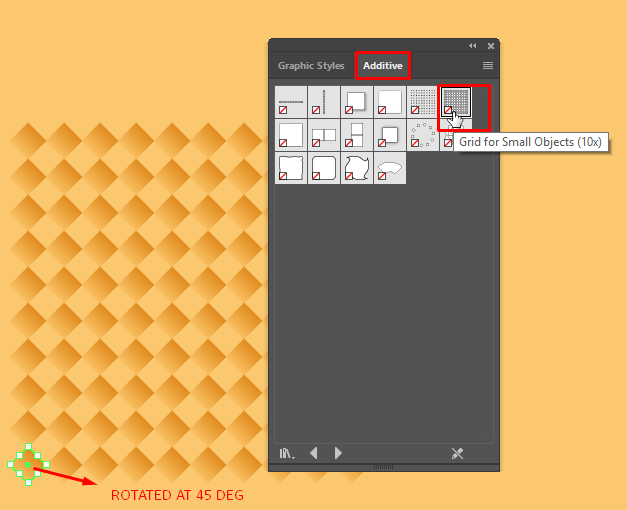 Set a Width and Height to 52px to render a square and click ok.
Bring up a Graphic Style Panel by going to Windows>Graphic Styles. Head on to the Graphic Style Library Menu on the bottom left. 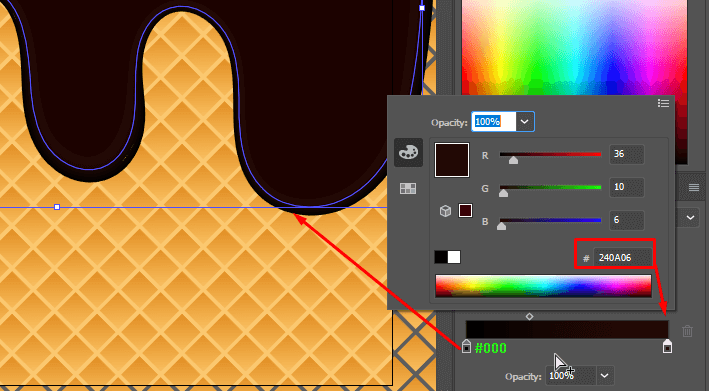 Select an Additive Graphic Style to show them on the panel. 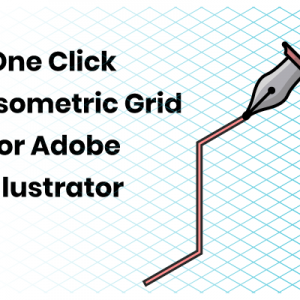 Choose “Grid for Small Objects” holding Alt/Option key. 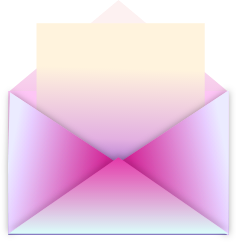 It will give you a rectangular grid with 9 copies of the square on the top and on the right. Moreover, it is a Live Effect, that means we can change it easily to suit our needs and the size of our background. But now, we need to rotate an original square at the angle of 45 degrees. Set an Angle of the Gradient to the 90deg. 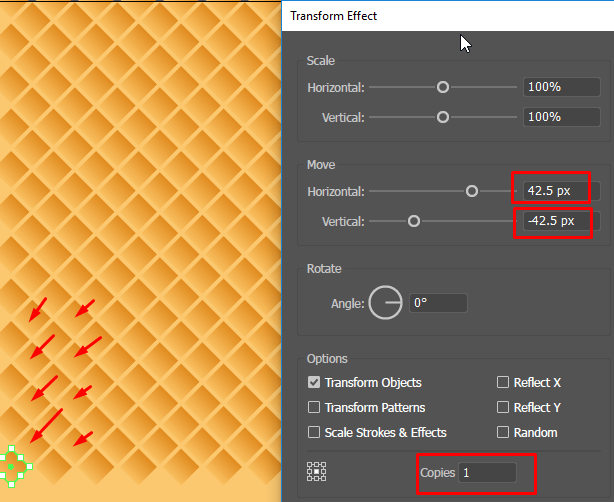 Now, let’s size up our pattern by going to the Transform Effect inside the Appearance Panel. 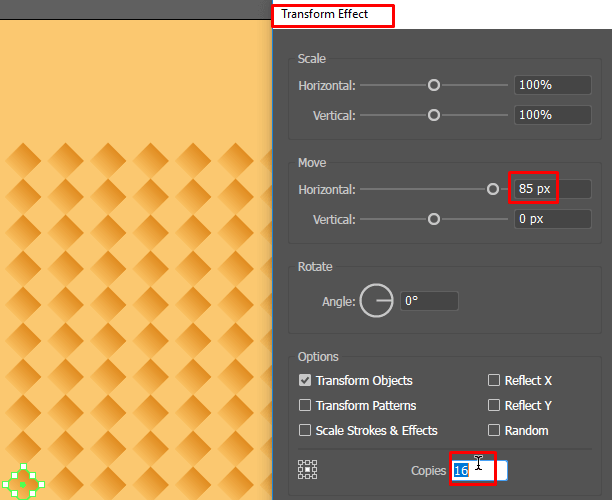 Click on the first Transform Effect to show the Transform Dialog Box. 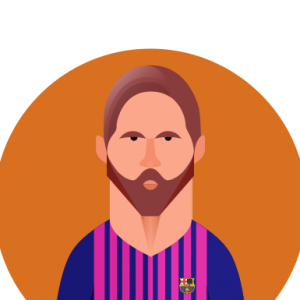 Increase a Number of Copies to 16 and set the Horizontal Move Value to 85px. 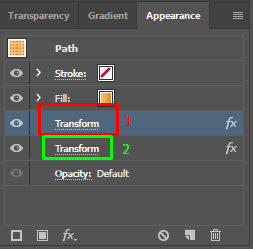 Open a second Transform Panel and set the Vertical Move value to -85px. Set a Number of Copies to 12. Click ok to apply changes. Now we have a kind of chess pattern. Let’s fill the “gaps” by going to the Effect>Distort and Transform>Transform. Set the Horizontal and Vertical Move values to 42.5 and -42.5px respectively. Set a Number Of Copies to 1.respectively. 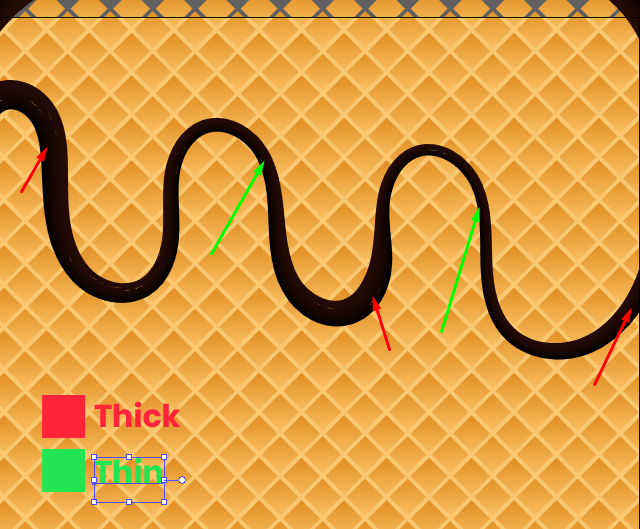 Draw a wavy line using Pencil Tool. 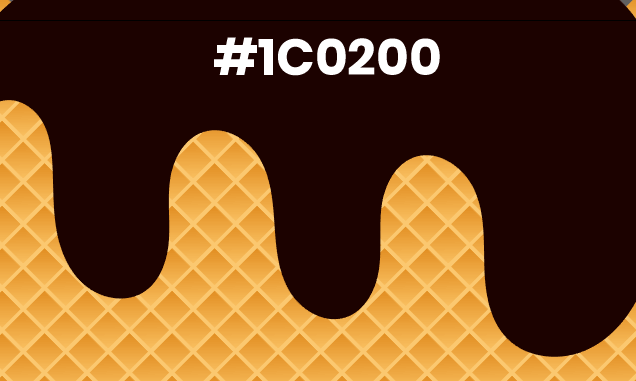 Set a Fill Color to #1c0200 delete a Stroke. Create two duplicates using Ctrl/Cmd+C & Ctrl/Cmd+F shortcuts. Select the first duplicate and Swap Fill and Stroke. 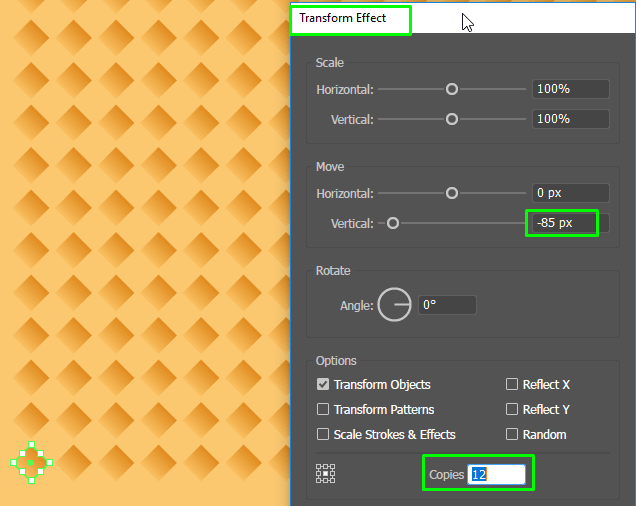 Increase the Stroke Weight up to 62px. 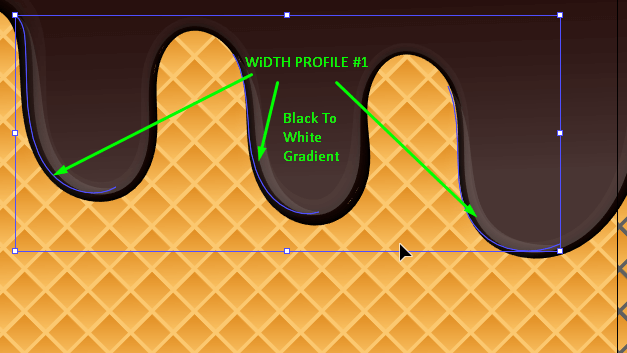 Grab a Width Tool to make adjustments to the width profile as shown in the picture below. 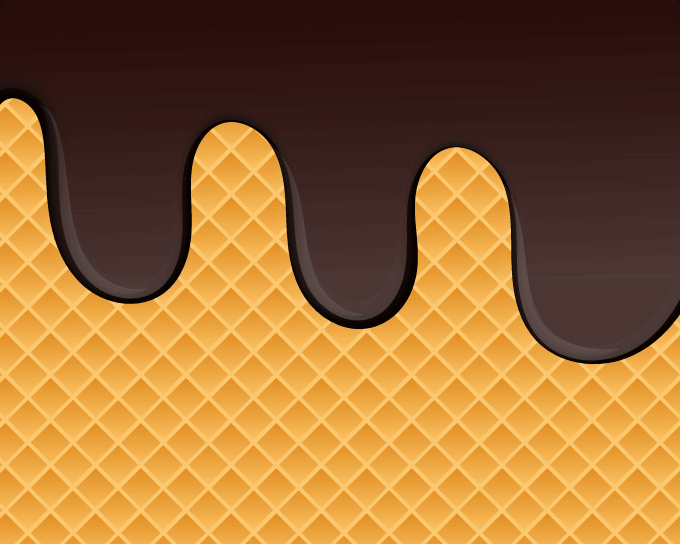 Select the second duplicate and head on to the Gradient Panel. Set a default black to white gradient and change the value of Angle to -90deg. Push the Midpoint to the Location of 65%. 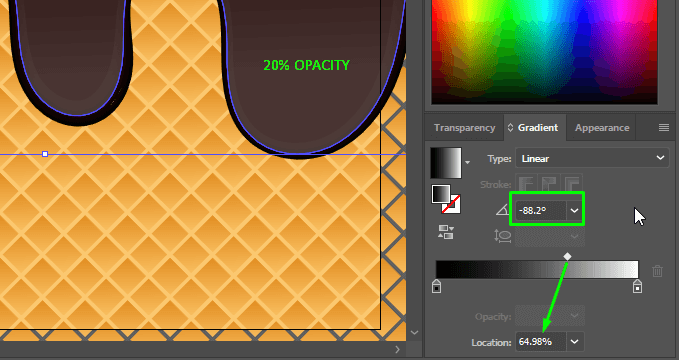 Visit Transparency Panel and change the Blending Mode to Screen to render black color to transparent. 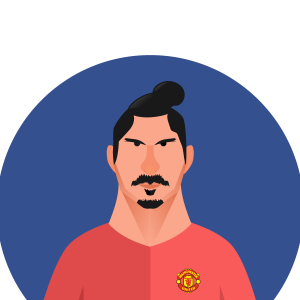 Set the value of the Opacity to 20%. Duplicate the last object (Ctrl/Cmd+C & Ctrl/Cmd+F) and “Swap Fill and Stroke“. Grab the Scissors Tool and slice the stroke as shown in a picture. Introduce the Width Profile #1 into a Stroke Width Dropdown. Increase the Stroke Weight to 62pt. We are done! If you have any question or suggestions, leave them in the comments. Subscribe to my YouTube Channel and join my mailing list to receive more tutorials like that.